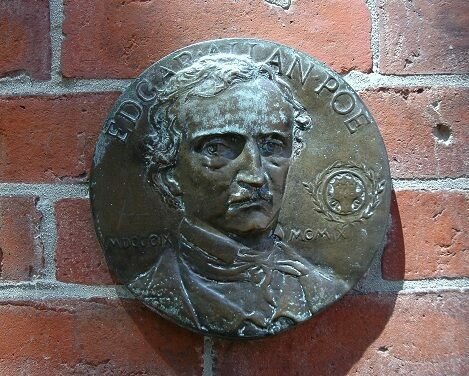 The house where Edgar Allan Poe was born on January 19, 1809, no longer exists. 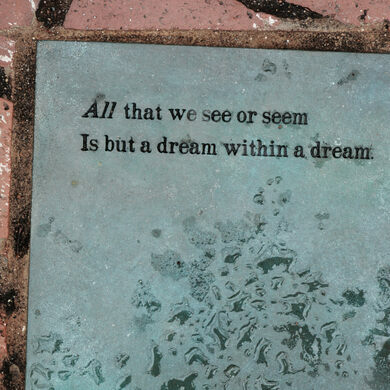 Neither does the street on which the house stood, since the whole area was demolished during an urban renewal project many decades ago. 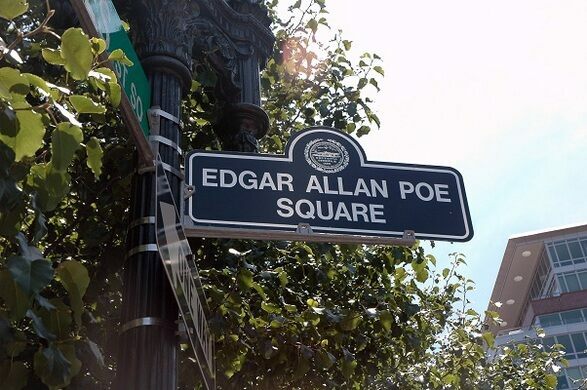 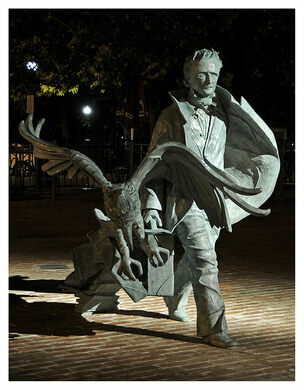 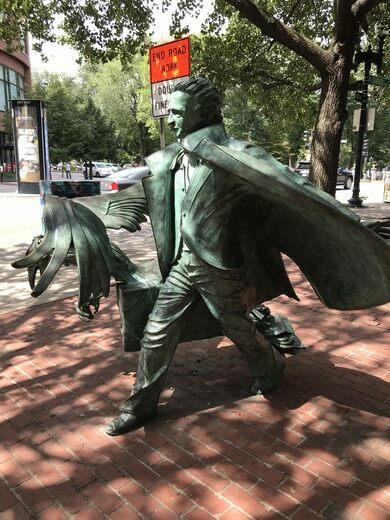 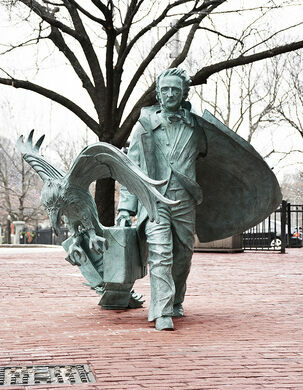 However, in 2009 on the 200th anniversary of Poe’s birth, Boston renamed the small plaza across the street from the southwest corner the “Common Edgar Allan Poe Square” and installed a street sign according. 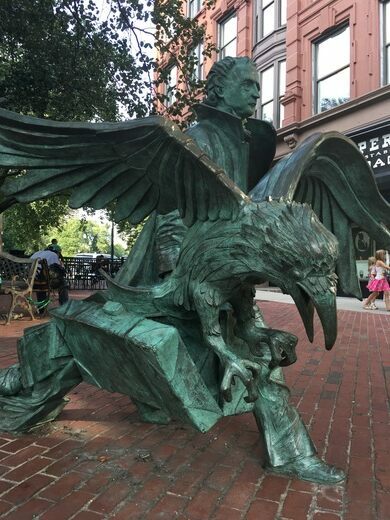 The plaza is near the theater district at the intersection of Boylston and Charles Streets, close to where Poe’s house once stood. 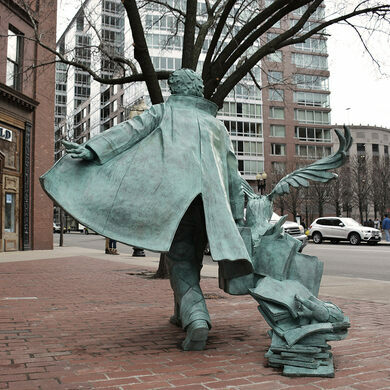 The former locus of Boston's high culture has been shuttered and buried for over 70 years. 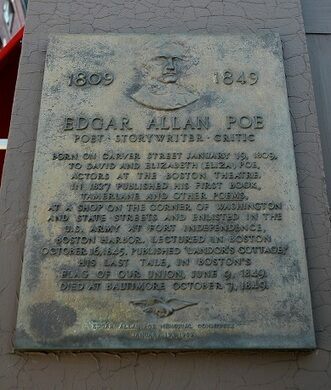 The famous author's cottage hideaway.